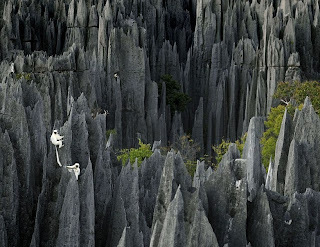 You are here: » Home » Oceania » Tsingy, The World's Widest Stone Forest! 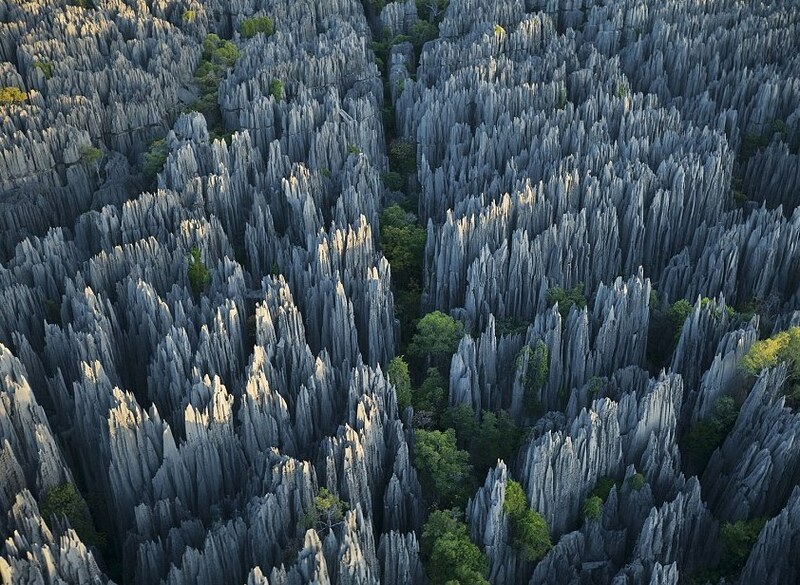 Tsingy, The World's Widest Stone Forest! Forest with lush green trees may have sound normal to you. 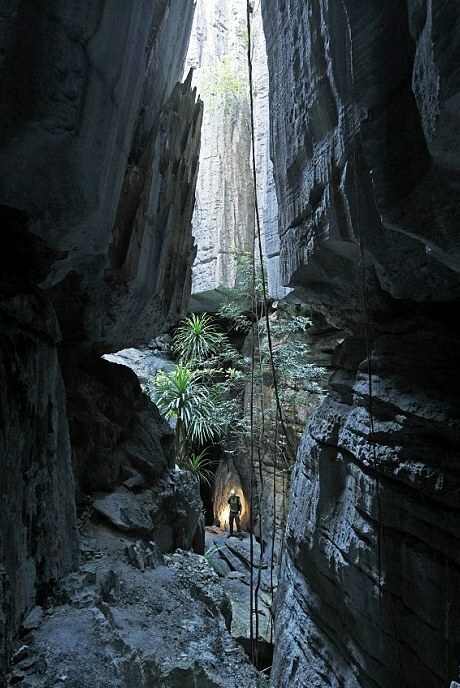 But in the western part of Madagascar, there are forests with towering rocks like a tree. In fact, this stone forest so that the widest in the world. Imagine you were around sharp rocks sticking up as high as almost 70 feet into the air. When viewed from above, it looks like a rock solid pine trees. If from the bottom, it's like being in the woods in the roofless cave, as quoted by the BBC Travel. 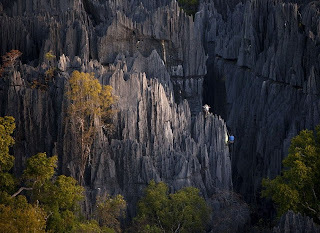 Stone Forest is named Tsingy de Bemaraha Strict Nature Forest, but is also known as the Stone Forest Maze. Tsingy, the short name, derived from the Aboriginal word meaning 'no one who can walk with bare feet here'. In the forest with an area of ​​approximately 666 square kilometers, spread karst rocks that have been hammered time and nature. According to some researchers, pointy rocks come from raindrops forest flushed it for hundreds and even thousands of years. In 1990, the forest is entered in one of the UNESCO Natural Heritage Site. Chosen for its unique panorama, exceptional geography, mangrove forests are protected and endemic fauna is very interesting. Almost all of the end of the karst rocks are very sharp. If you want to see the wriggling animal life in the Tsingy, you can peek at least 10 feet from the top of the rock. There are two ways to explore this exotic woods such as from above or from below. Before you venture out, make sure you already have a comprehensive safety equipment and operating properly. From the top, you can climb the rock ends as if climbing a cliff. Be careful, the rocks are very pointy and certainly sharp. Do not let slip if do not want fatally injured. There are also other ways that explore out from under. This means you get down to the forest and browse through rock crevices. There is a huge gap there is also a small. Here live some endemic species are funny and dangerous. One of the most famous animals here are white lemur. Lemur is a type of long-tailed primates and have the ability to jump that far, almost the same as footpads. This white Lemur likes perched atop the rocks. From a distance, these animals will easily attract the attention of all travelers. Besides lemurs, mongoose still there, 45 species of reptiles, and hundreds of bird species also live in this area. 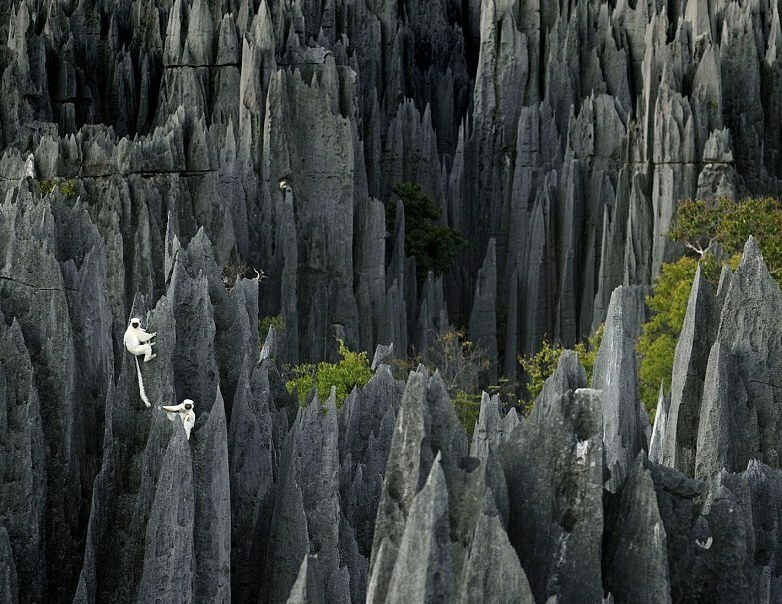 Article : Tsingy, The World's Widest Stone Forest! 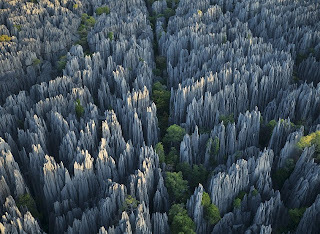 0 Respones to "Tsingy, The World's Widest Stone Forest!"